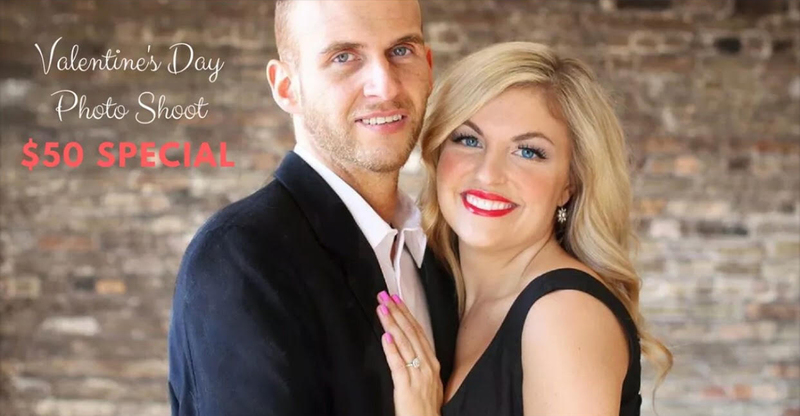 Celebrate you Love with us! What is included in Valentine's day Photoshoot? Studio will have a setup in our studio and session will take about an hour. You will be able to review your images and decide what image(s) you want to be ordered or printed. Spaces are limited and ALL appointments have to be scheduled. It is a great opportunity to preserve love feelings and bring home an image that has Love in it. Do not skip this great opportunity and make a gift for someone you love. Bring your kids and make family portraits! ONLY 17 SPOTS LEFT! DO NOT MISS THIS DEAL!